Bin Salman’s role in the murder of journalist Jamal Khashoggi remains unclear, although the meeting had been in the works for two months, the group told The Washington Post. The delegation met with other Saudi officials, but bin Salman -- who is second only behind the king -- was the most prominent. Human rights were discussed, said public relations executive A. Larry Ross, who was present. 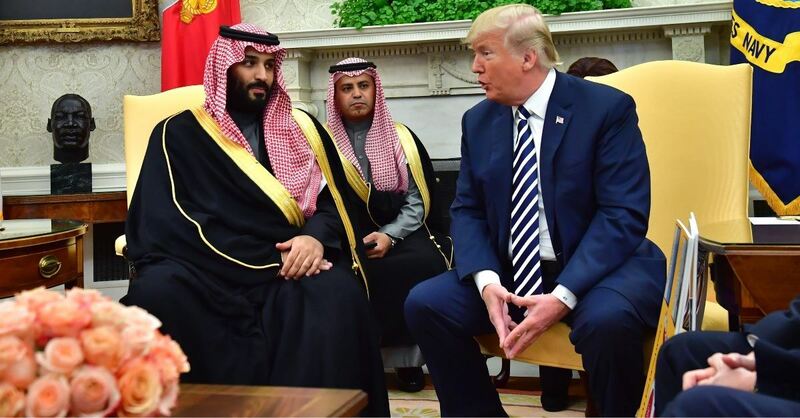 “We even returned to it a second time later in the discussion because of its importance, and were encouraged by the Crown Prince’s candor in his response,” Ross told The Post. The White House did not set up the meeting, a member of the delegation told The Post. Several issues arose, including the group’s desire to have the Saudis strengthen their ties to Israel. Other members included Johnnie Moore; author Joel Rosenberg; former U.S. congresswoman Michele Bachmann; Jerry A. Johnson of the National Religious Broadcasters; Michael Little, formerly of the Christian Broadcasting Network; writer Mike Evans; New Mexico pastor Skip Heitzig; and former NRB CEO Wayne Pederson.